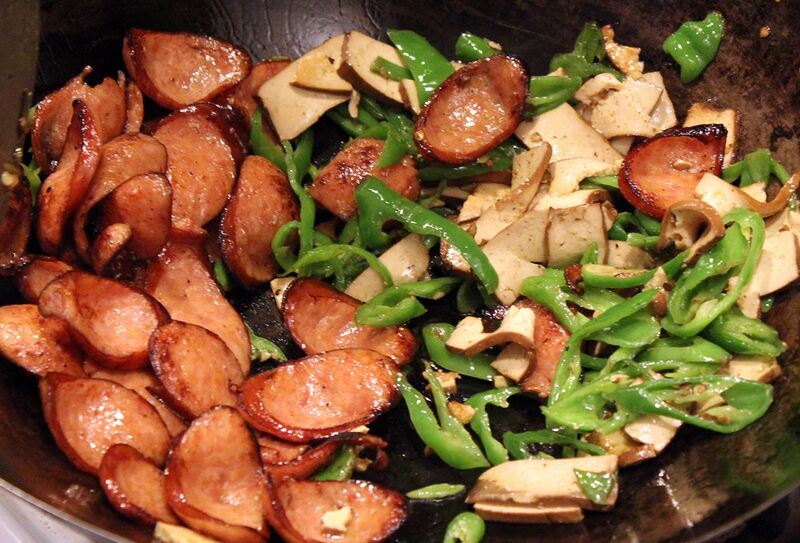 This sausage recipe is simple to cook, but packed with full flavor, even though no other seasonings are added. The extreme simplicity leaves unlimited flexibility for further extension. 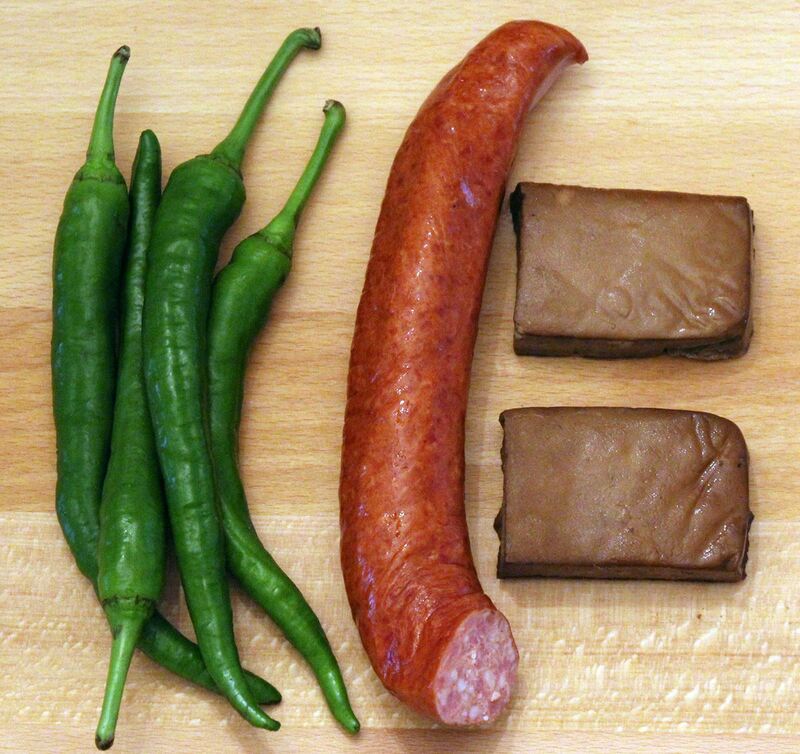 1The sausage is Tyson Polska Kielbasa available at Costco, which has a fancy lightly smoked taste note. The spiced pressed tofu can be any five-spice tofu, smoked tofu or just plain pressed tofu available at refrigerator in any supermarket. Green cayenne pepper is medium in size. 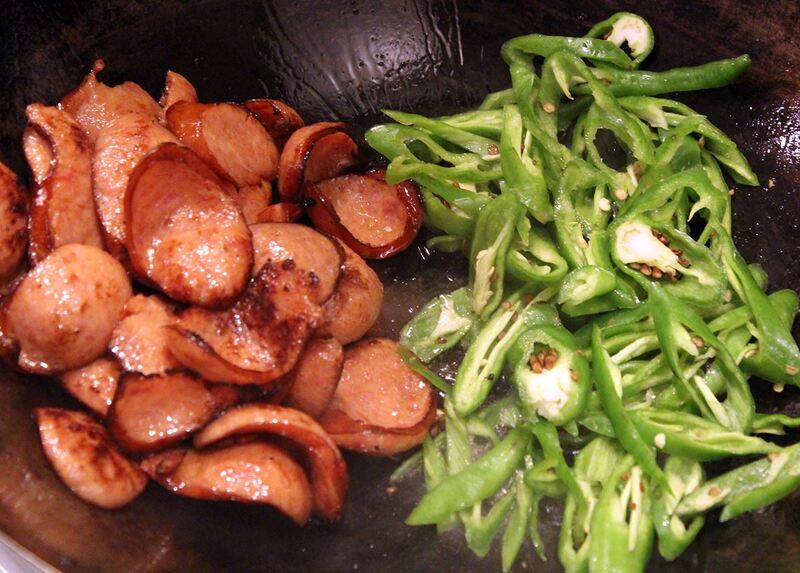 If it is spicy or big, use two pieces only. 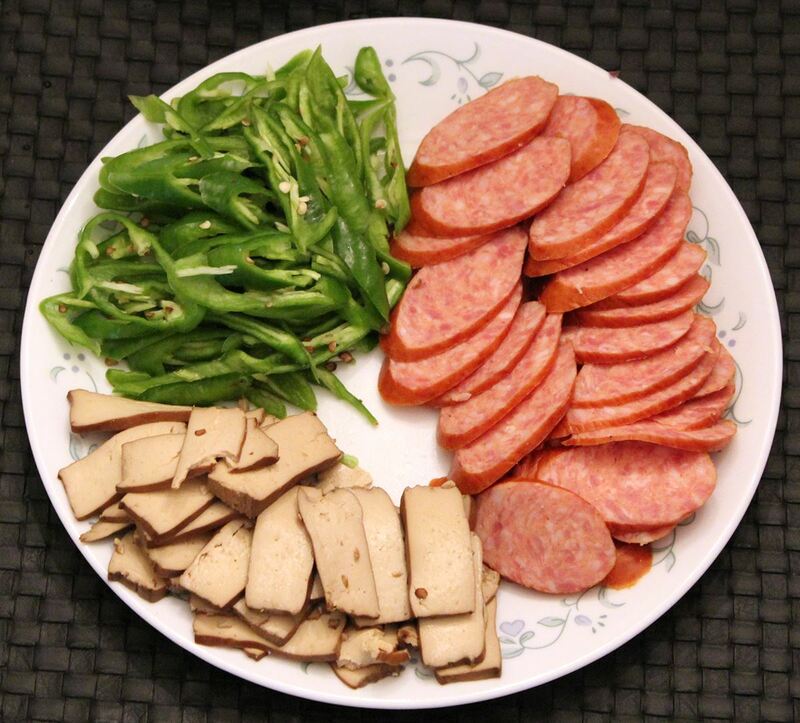 2Cut all three ingredients into thin slices. Pepper is sliced at about 45 degree knife angle. 3Heat a wok or skillet on medium heat. 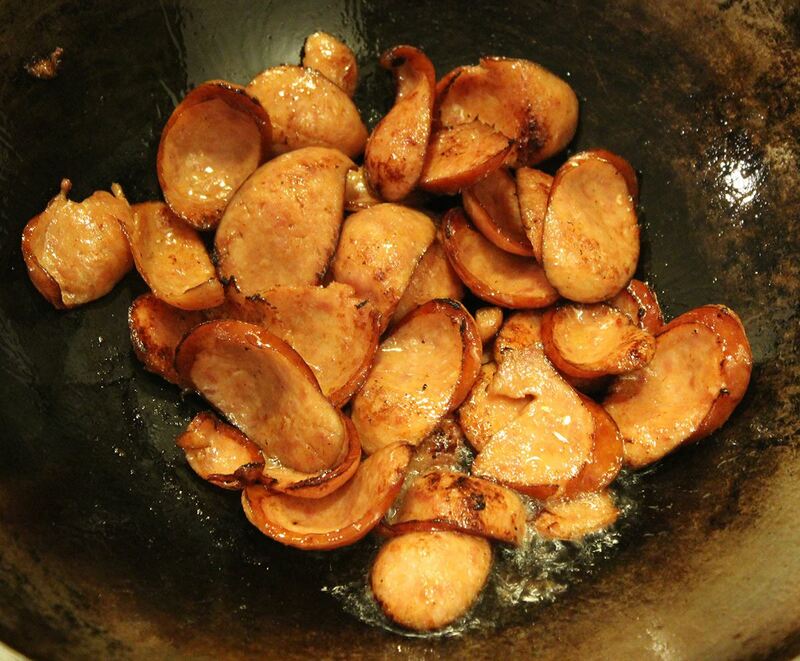 Stir sausage slices until they become lightly browned and curled in about 5 min. 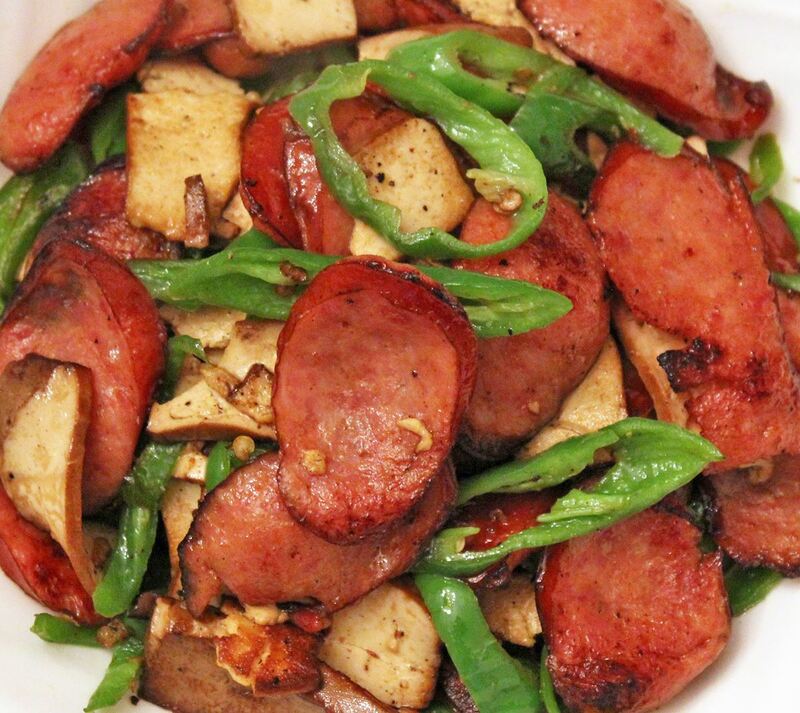 5Add tofu slice on pepper side and stir with pepper until tofu becomes tender and flavored in about 3 minutes. 6Mix everything together and sprinkle with salt to taste. Continue to stir-fry until well combined. Turn off the heat and transfer to a service plate immediately. 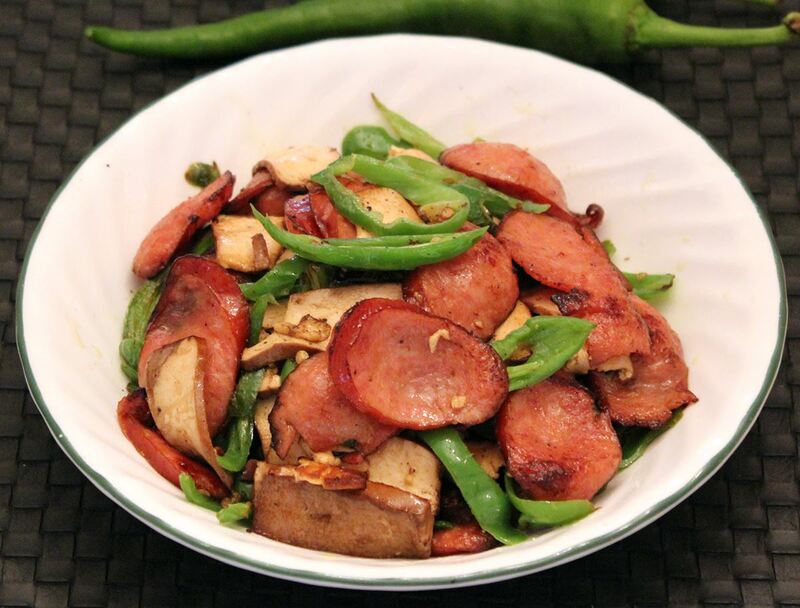 This recipe demonstrates a typical Sichuan cooking style of "dry saute in one wok" 一锅成菜, without unnecessary seasonings, but chili peppers.